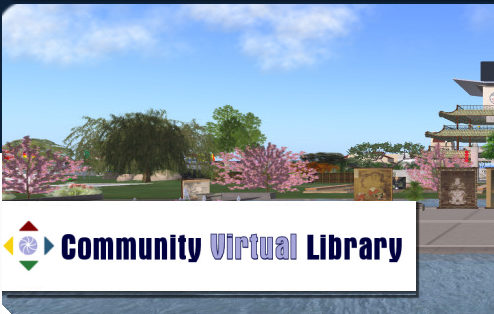 Community Virtual Library, TAP Information Services and the School of Library and Information Science at San Jose State University Announce a One-Day Online Conference:“Libraries in Second Life – Paths to Virtual Treasure” on Wednesday, October 13th. 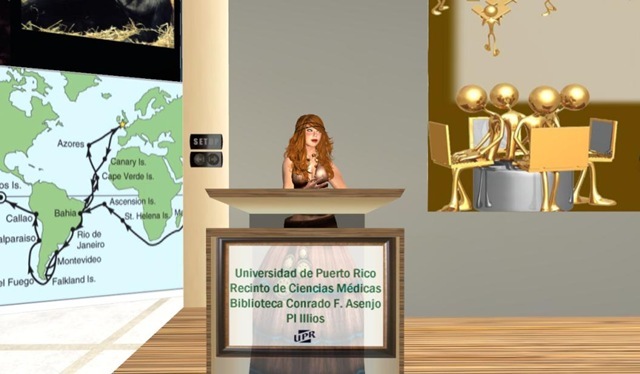 The conference will be held in the virtual world of Second Life and will feature a number of projects and services offered by libraries in virtual worlds. 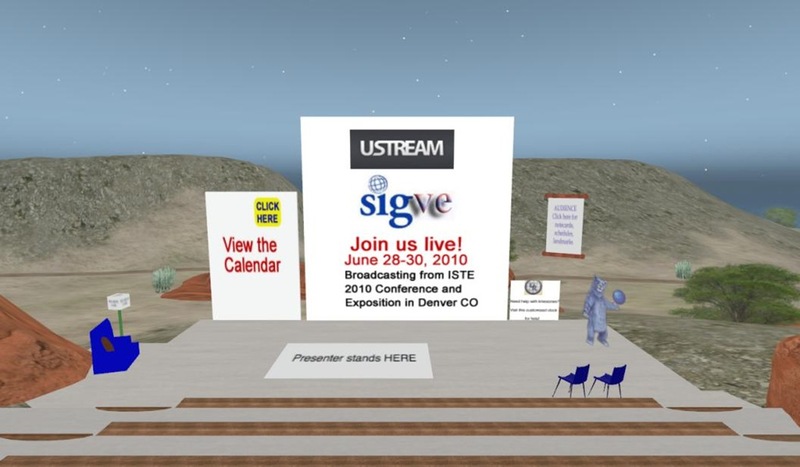 “We are pleased to offer a one-day virtual conference to take place in Second Life that extends and illustrates the topics that are part of Trendy Topics’ October 12th online conference through TAP Information Services and the School of Library and Information Science at San Jose State University,” stated Rhonda Trueman, one of the creators and managers of the Community Virtual Library in Second Life. Start Time: 12:00 noon Eastern, 11 Central, 10 am Mountain, and 9 am Pacific. End Time: 10 p.m. Eastern, 9 pm Central, 8 pm Mountain, and 7 Pacific. Registration Fees: $30 for individuals; $20 for students; discounted rate for SJSU students, faculty. 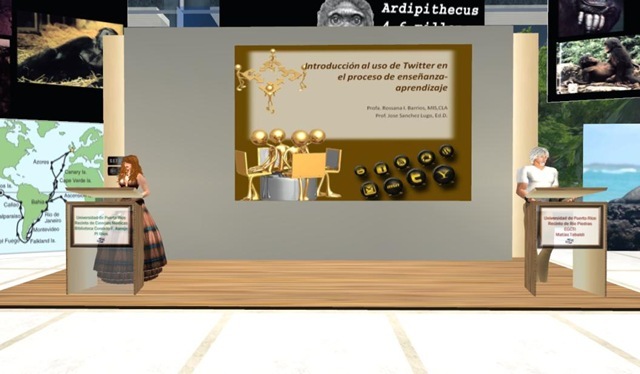 9 am SLT – Keynote 1 – Marilyn Johnson – Marilyn Johnson, author of the book This Book Is Overdue! 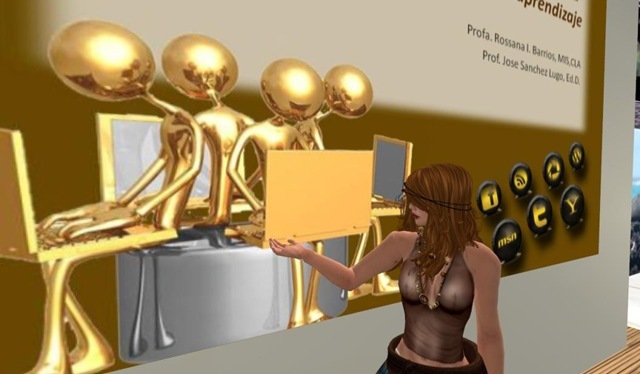 : How Librarians and Cybrarians Can Save Us All! She will discuss her book, library advocacy, cutting-edge librarians in the digital age and how to support them! 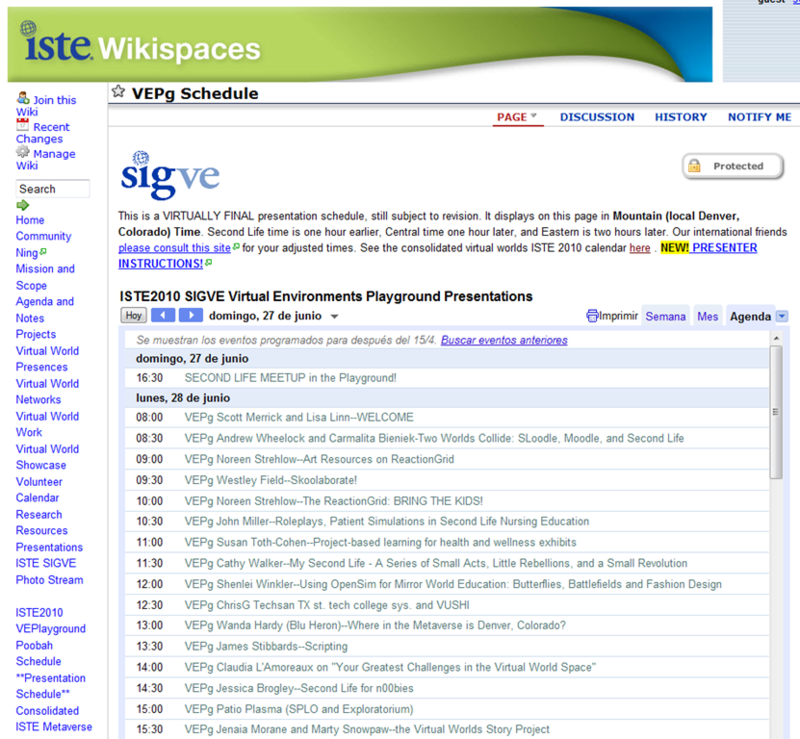 El Wiki de ISTE presenta los horarios de presentaciones virtuales en Second Life de su Convención Anual ISTE 2010. 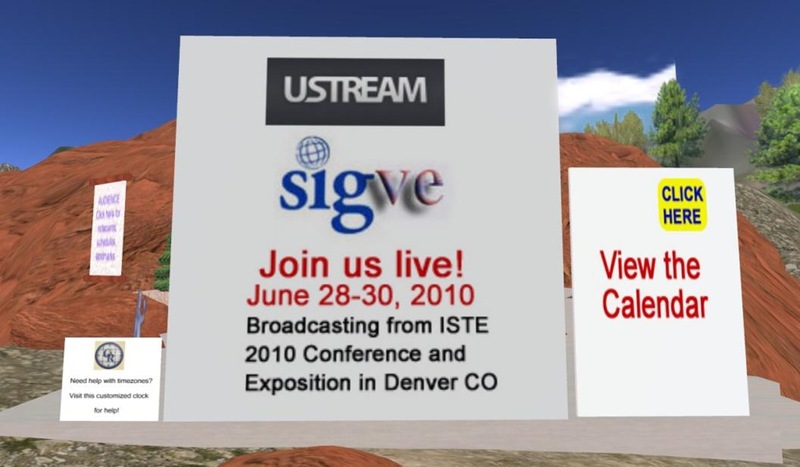 Los ISTE 2010 Virtual Environments Presentations empiezan mañana lunes y son gratis para los que asistan en SL en ISTE Island 4. No pierdan esta oportunidad.